I've had two trips to the park this weekend. I love having a roam around, strolling around the lake or watching the squirrels play. Yesterday was gorgeous sunshine with a light breeze which was perfect weather for my @So_Fab_Clothing dress and new @SimplyBeUK sandals. I have been looking for the perfect sandals for the Summer for ages and I love these so much that I've ordered them in back too. Today however is a different story. Although not freezing cold, the weather certainly isn't lending itself to a dress so here’s what I wore today. 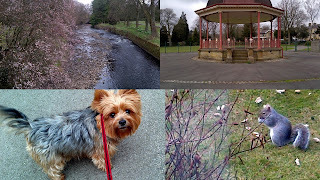 I’ve also snapped a few pictures at the park too, it’s a lovely one to walk around, especially when it’s sunny. 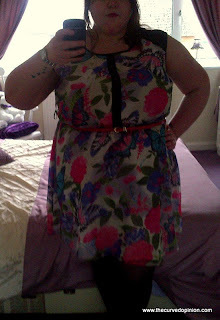 Oh and here is a recent lovely dress I've bought from SimplyBe too, but it's so pretty it deserves it's own blog post at a later date! What have you been wearing this weekend?